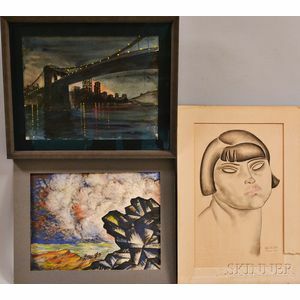 John Liello, Female Head, signed, inscribed, and dated "John Liello/Paris 1927" l.r., charcoal and pastel; Brooklyn Bridge at Dusk, signed and dated "E. MONROE/38" u.r., watercolor and gouache; Coastal View with Figures Pulling Up a Dory Beneath a Cliff, unsigned, ink and watercolor. 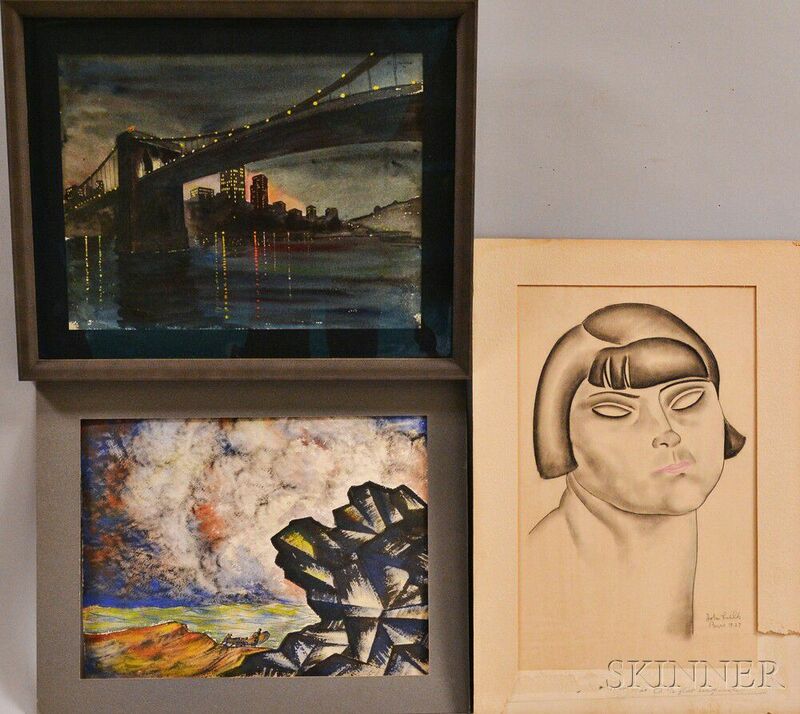 Sight sizes to 16 x 10 in., Bridge framed, others unframed. Condition: Head with toning, laid down on paperboard support, Coastal View taped to window mat with cellophane tape on the reverse, Bridge not examined out of frame.